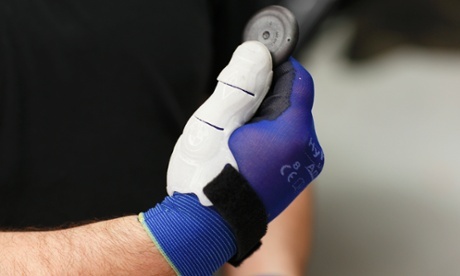 Fully aware of the exertion required by its manufacturing line workers, German carmaker BMW has introduced a new technology to reduce the strain on its employee’s thumbs. The creation of these augmented thumbs is thanks to the help of the Department of Ergonomics at the Technical University of Munich. The thumb technology acts as a splint for its wearer and reduces strain by spreading the pressure involved when pushing a stiff object. In regards to its technical features, the device is made from a mixture of plastic and silicone. Thanks to a transportable 3D camera, a tailored thumb is created to imitate to perfection each line-worker thumb. There are several benefits to the artificial thumb, which has gained a widespread appeal among factory workers. The main advantage of this ingenious device is that it prevents pain and injury. As a result, production of the augmented thumb is set to increase. Find out more about obtaining a car manufactured with this ingenious technology today.